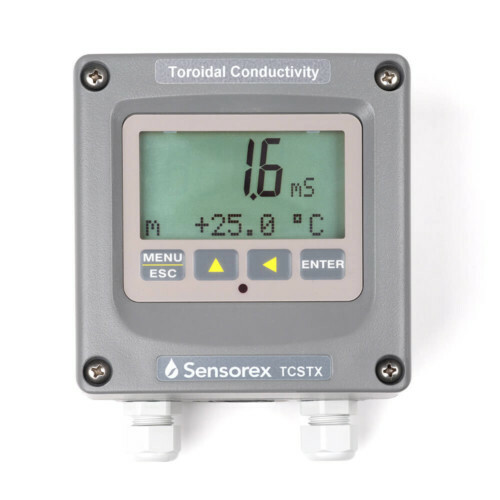 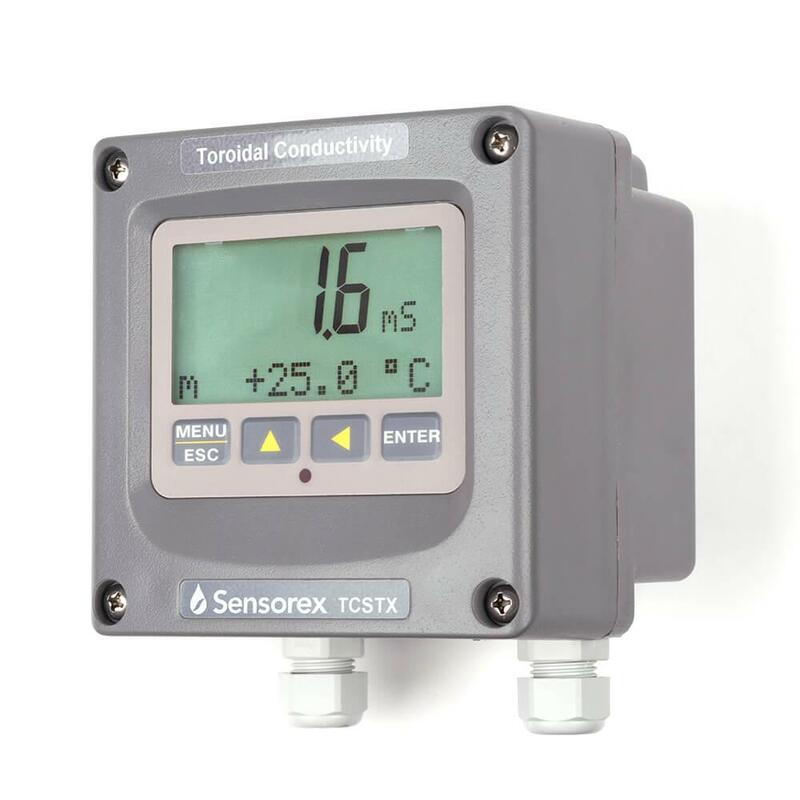 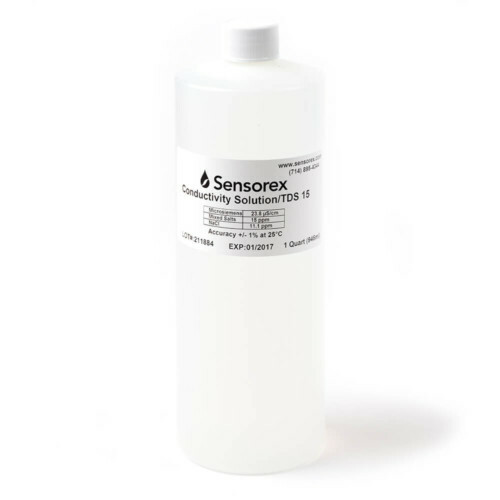 Our TCSTX online toroidal conductivity meter and 4-20mA transmitter is built for water treatment monitoring in aggressive chemical and coating applications. The unit features isolated outputs with user-programmable temperature compensation. 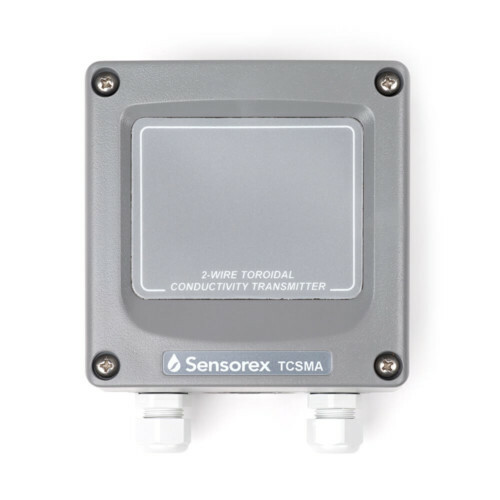 Durable construction with enclosure rated at NEMA 4X (IP65). 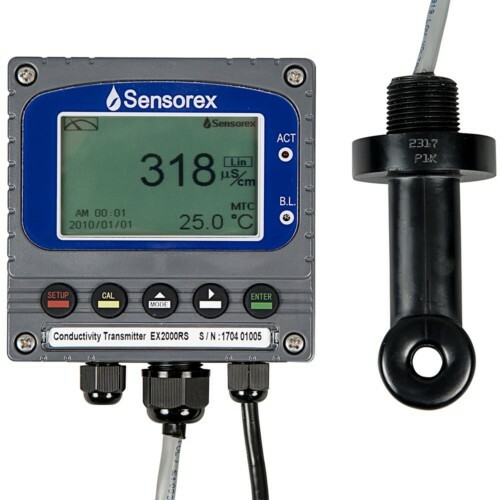 Simple installation for wall, pipe, panel, or rail mounting. Use with our TCS3020 Toroidal Conductivity Sensor for online conductivity monitoring with minimal maintenance.